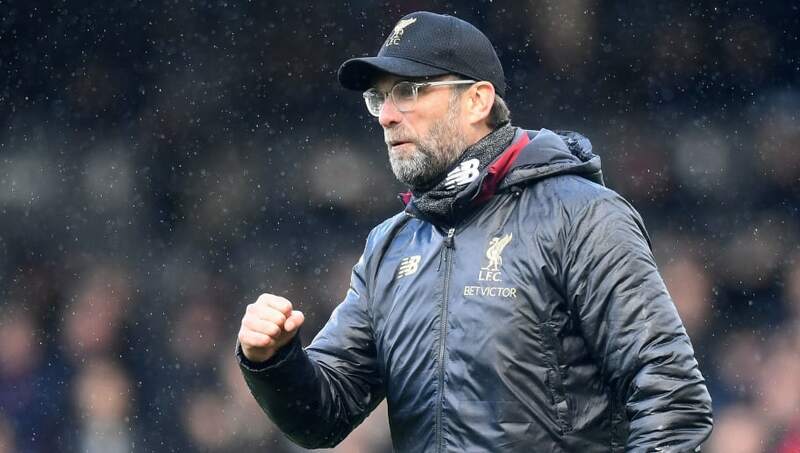 ​Liverpool manager Jürgen Klopp has suggested he could remain at the helm at Anfield for many years to come, as the Reds chase Premier League and Champions League glory this season. The German has been linked with a return to the Bundesliga in recent weeks, with champions Bayern Munich touted as a potential destination. However, the Reds have assembled a world-class squad, with Klopp recruits fighting for a maiden Premier League title in 2018/19. They currently hold a two-point buffer at the summit, though rivals Manchester City have a game in hand. In an interview with German newspaper ​Die Welt am Sonntag, the former ​Borussia Dortmund boss was asked about where he sees himself coaching in the future and whether a switch to ​Bayern is a genuine possibility. Discussing his long-term plans, Klopp stated: “I have a contract at ​Liverpool until 2022 and no one here has the feeling that we should end it - neither from the side of the owner nor my side. “I do not know [when I will leave Anfield]. There’s a long way to go. Basically, football is like this: the opportunity has to be right, and the timing has to be right. "But I’m totally happy here and do not feel like I’m finished here. Our team has a good age structure and we can work together for a while." All of the Reds top six appearance-makers this season are under the age of 28, whilst first-team regulars Trent Alexander-Arnold and Joe Gomez are just 20 and 21 years-of-age, respectively. In a similar vein, the average age of Klopp's squad is one of the youngest in the ​Premier League. The experience they are gaining at such an early stage in their careers, as well as the increased cohesion from the team developing together, should tee up the five-time European champions for a sustained period of success both domestically and in the ​Champions League.